Windows on the Past throws some light on buildings and businesses in Primrose Hill. Lower Chalcot was an ancient farm sited up a lane which led west from the main Hampstead road. It may have offered refreshments from a very early date, as it was a convenient stopping place for those journeying north/south. The first definite reference to a tavern here is in 1678, when the body of a missing magistrate was carried to it. In 1732 the first innkeeper, Joshua Deane, is listed in the Middlesex Licensing Records. The city of London had grown northwards and Primrose Hill was a popular place to visit on weekend excursions, as well as for duels. 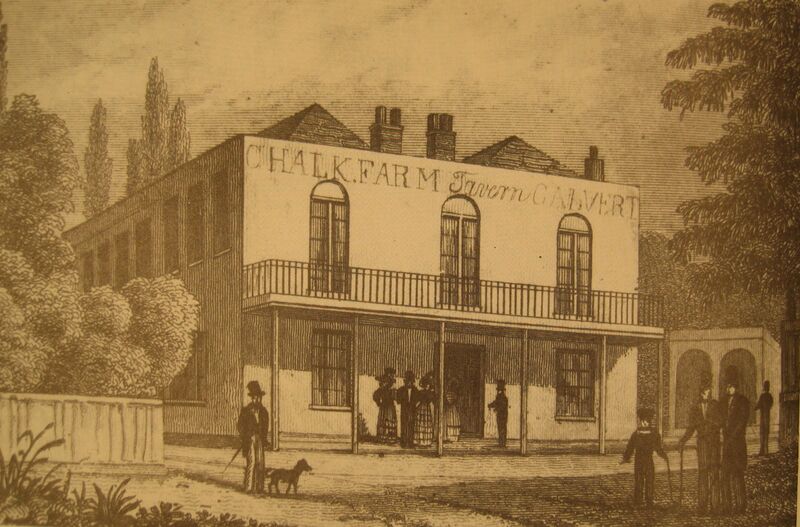 By 1800 the tavern had a long room for entertainment, and extensive pleasure gardens. These occupied the roughly oval area now bounded by Sharpleshall Street, Chalcot Square and Berkley Road. They contained a dance floor supposedly capable of taking a thousand people, and a high bandstand known as a Chinese Orchestra. 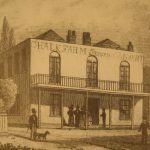 The original building was demolished in 1853, and the present one built by 1854. 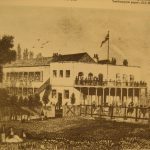 In 1860 the owners sold off the gardens for building plots, making way for more housing and the last terrace of shops to be built in Regent’s Park Road, stretching from Sharpleshall Street to Berkley Road. Pub Lotus had a ‘car’ theme, with posters and photos of Lotus racing cars on the walls, steering wheel tables and leather bucket seats. There was a billiard table upstairs, and for a while the pub offered drag artists and male striptease. It had a young clientele. In the picture here of the Lotus Pub the date given on photo is 1966, so it seems the pub was open before 1971. 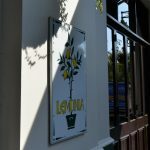 The popular Greek restaurant Lemonia has been in this building since 1992. Windows on the Past was researched and written by Caroline Cooper. 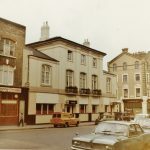 Thank you to Camden Local Studies and Archives Centre, City of London Metropolitan Archives for their help and the Primrose Hill Conservation Area Advisory Committee for their original permission to use the 1972 photos.